(Nose Scope) allows visualization of the nasal cavity by use of a small, rigid endoscope. A general anesthetic is required for this procedure. Masses, foreign bodies, infection and the general characteristics of the nasal mucosa can be seen with rhinoscopy. If a mass is identified we can obtain a sample with a biopsy forceps or if a foreign body is seen we can remove it with a grasping forceps. Tissue biopsies obtained are submitted to a veterinary pathologist for histological evaluation to identify the growth. Nasal vegetative foreign body removed from turbinate. 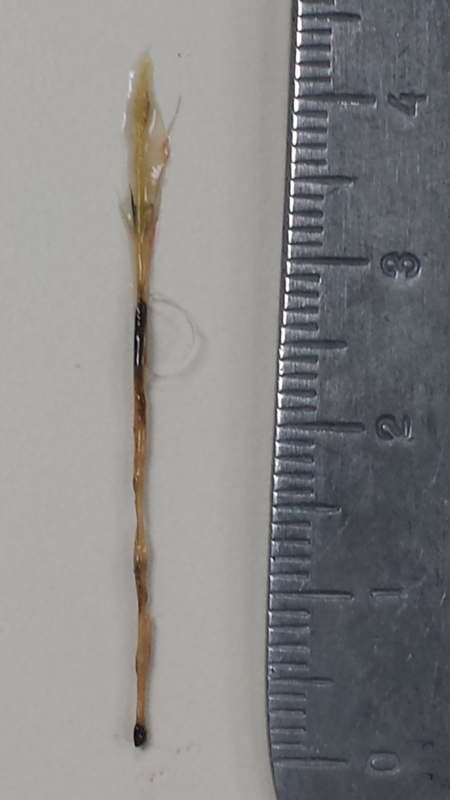 Nasal cactus thorn foreign body removed from nasal cavity. 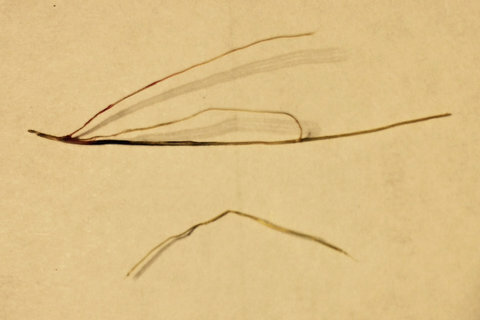 Nasal hair & string foreign body removed from nasal cavity. 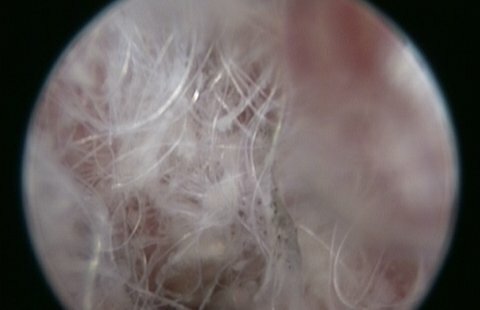 Above Nasal hair & string foreign body in nasal cavity.